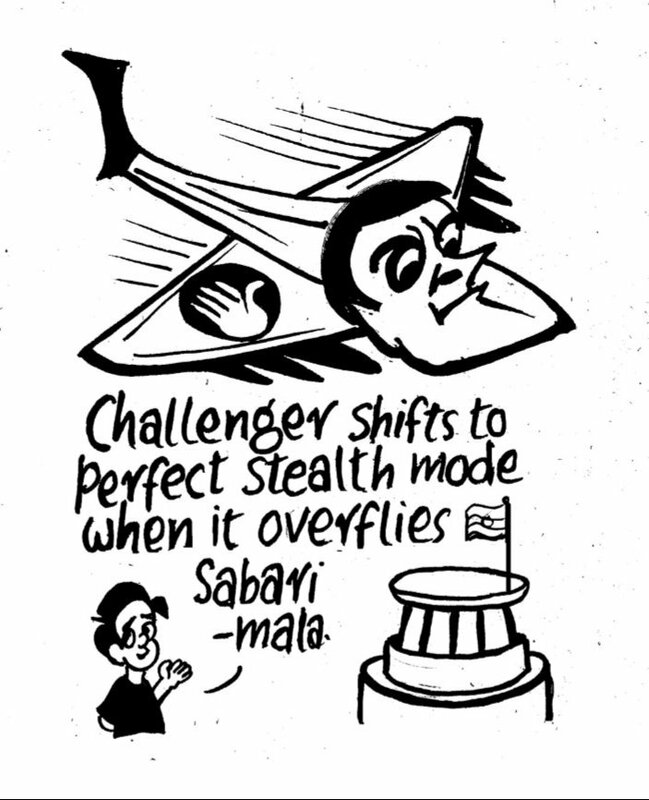 E. P. Unny for The Indian Express juxtaposes Congress president Rahul Gandhi’s vocal stance on the Rafale deal with his continued silence on the Sabarimala issue. Prime Minister Narendra Modi, in his interview with ANI, said the government would act on the Ram Mandir issue only after legal proceedings in the case come to a conclusion. 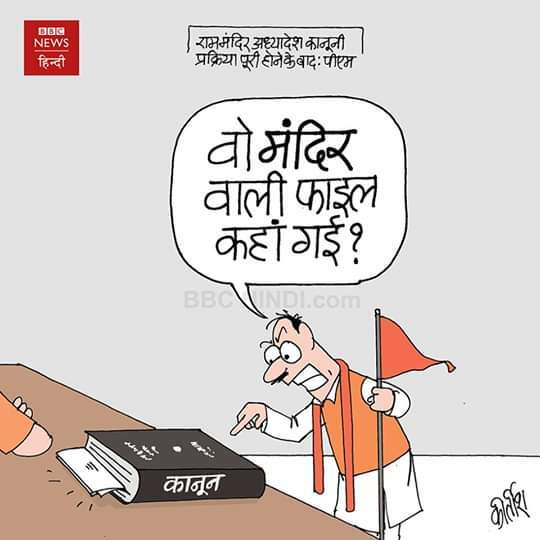 Kirtish Bhatt for BBC News Hindi takes a jibe at the Hindutva campaigners who seem to disapprove of the Prime Minister’s views. 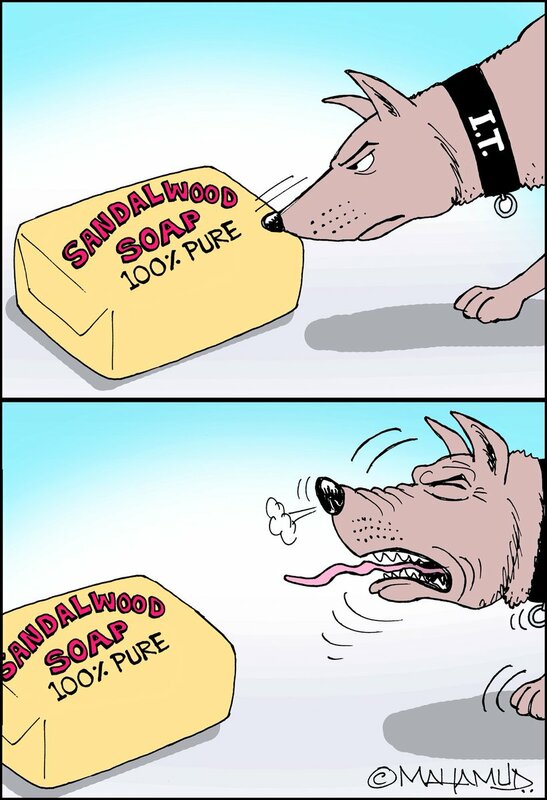 Mahamud has a take on the raids by the Income Tax department on prominent actors from the Kannada movie industry, popularly known as Sandalwood. 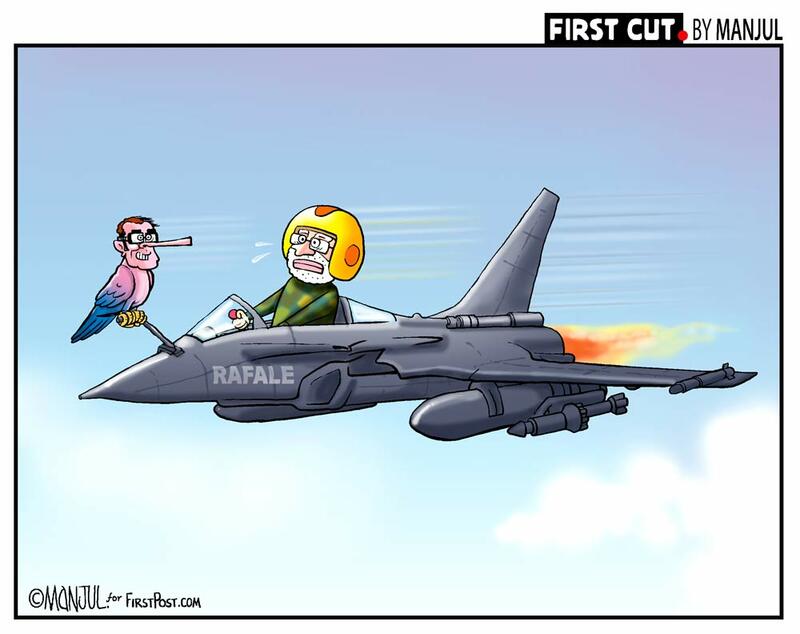 Manjul for Firstpost depicts the Congress president Rahul Gandhi persisting with the Rafale row, in a bid to pin back Prime Minister Narendra Modi. 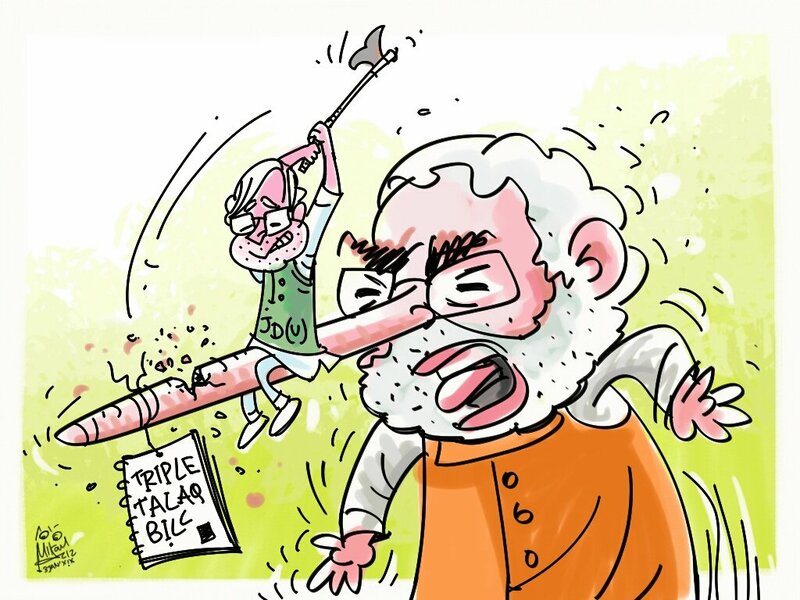 Bashistha Narain Singh, a senior leader from JD(U), said his party will oppose the government’s proposed triple talaq bill in its current form. 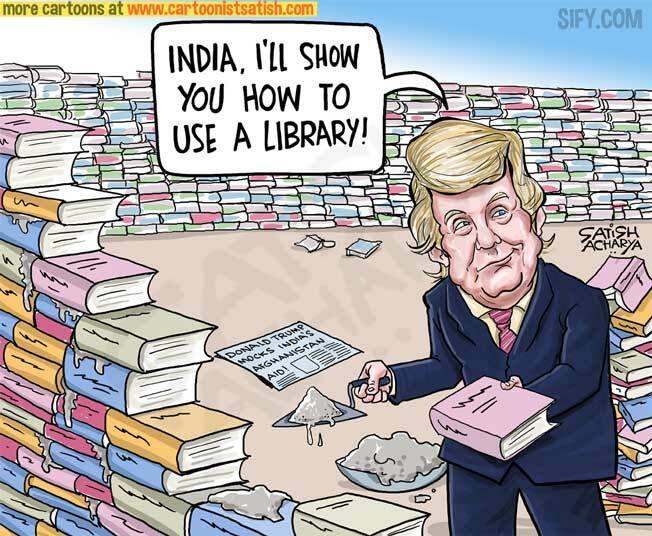 Mika Aziz has a take on the JD(U) taking on its ally, the BJP, over the issue. 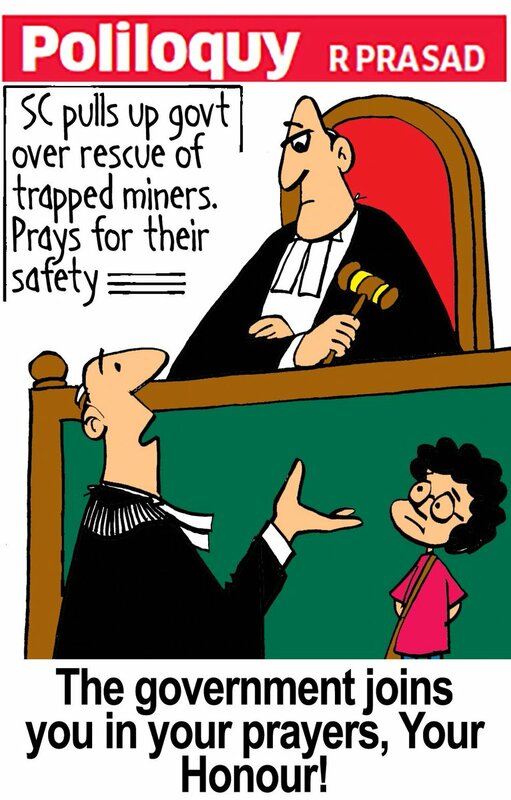 R. Prasad for the Economic Times weighs in on the Supreme Court’s censure of the Meghalaya government over the trapped miners. 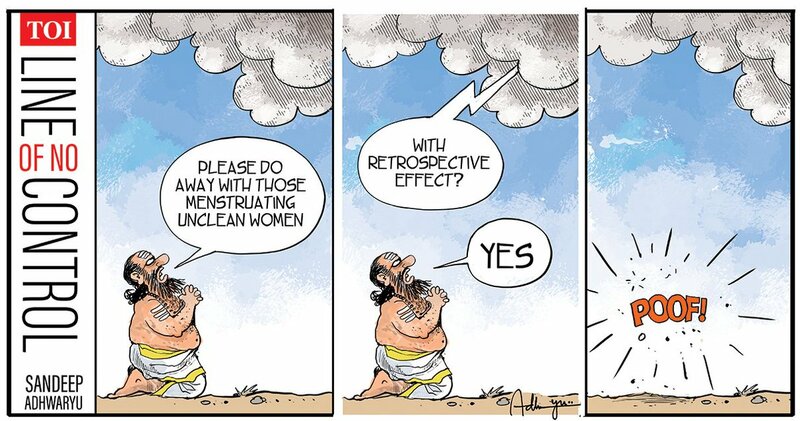 Sandeep Adhwary illustrates the divine judgement over the debates on the Sabarimala issue. 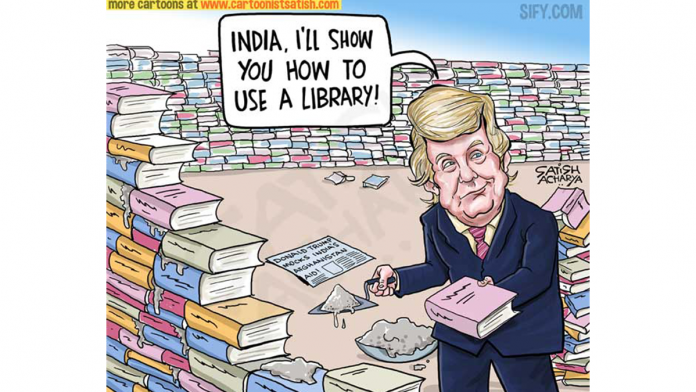 Satish Acharya for Sify takes a jibe at U.S. President Donald Trump for mocking Modi through his ‘library-in-Afghanistan’ taunt. 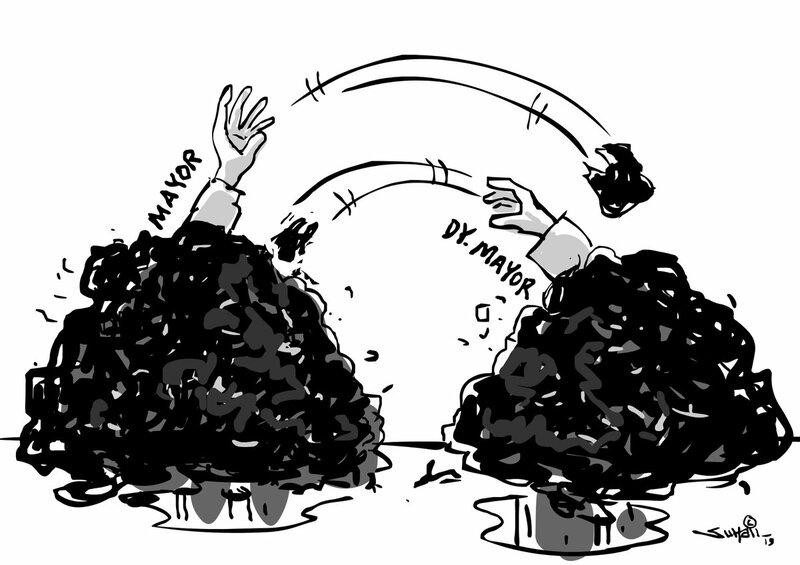 Suhail Naqshbandi illustrates the muck being thrown around in the Srinagar Municipal Corporation, where Mayor Junaid Mattu and his deputy, Sheikh Imran, are in a war of words after a woman corporator accused Mattu of sexual harassment.